Last week we talked about preparing for year-end processing within your Sage ERP Accpac. This post is a reminder on important dates and some new tax filing information for the coming year or changes that will take effect for your next tax filing, expense reimbursements and/or tax reporting. January 31, 2012 - Deadline to issue W-2, 1098 and 1099 forms to employees & independent contractors. 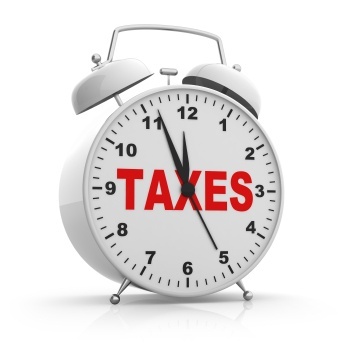 January 31, 2012 - Deadline for filing quarterly payroll and annual sales tax returns. Depreciation & Section 179 Expense - Last year's Small Business Jobs Act (SBJA) of 2010 increased the Section 179 deduction to $500,000. The phase out threshold for qualifying Sec. 179 expenses increased to $2 Million, up from $800,000 previously. Standard Mileage Rate - Beginning on January 1, 2011 through June 30, 2011, the standard mileage rate for operating an automobile for business use is 51 cents per mile. From July 1, 2011 through December 31, 2011, the standard mileage rate increased to 55.5 cents per mile. HIRE Act Worker Retention Credit - If your business hired a previously unemployed worker last year, 2011 is the year you qualify for up to $1,000 tax credit for keeping that person employed. Informational Reporting of Employer-Sponsored Health Coverage - Reporting employee's annual cost of health insurance coverage on form W-2 is NOT mandatory until 2012. However, the ability to voluntarily report such information in 2011 using code DD in W-2 Box 12 will be included in the year end PUP. Note: We would like to note that the above information is solely intended as a helpful reference and is NOT to be relied on as tax advice from a licensed and qualified tax professional. If you are using Sage ERP Accpac Payroll module it is very likely that there will be a Payroll Tax Update for January 2012. After applying your Sage Accpac Payroll Tax Update please print an alignment W-2 form before ordering these documents. Once you order your W-2 forms please print the alignment again to paper to ensure that everything is in order. You can edit the form aligments in Crystal Reports if you have the Crystal Report Professional designer. If you need assistance with aligning to the W-2 forms simply fax a copy of your printed alignment to Equation at (760) 436-3521 and we can modify the alignment accordingly. Contact Us if you require any assistance with your year-end preparation. If you haven't registered for the Sage Accpac Year End & Purging History Webinar this Wednesday click here to register.